Looking for great Christian homeschool curriculum? Want to learn more about what AOP offers? 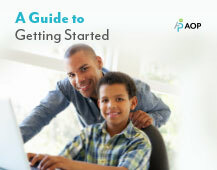 Then, request our free homeschooling brochure, and we’ll email it to you.